The first recipe is for the Cup N' Ball Toy, which is made using four Pieces of Wood and two Wool Thread Spindle. The Wool Thread Spindle is created using two Fine Rabbit Wool and six regular Wool. 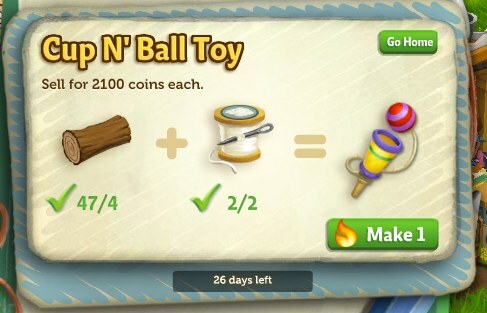 This item gives you 14 XP for each one you create and you can sell a single Cup N' Ball Toy for 2,100 coins in the store. The second recipe is for a Jump Rope, which is created using four Pieces of Wood and two Wool Bolts. A single Wool Bolt can be created by combining two piles of four Wool each (so, eight Wool in total), and you'll receive 14 XP for each one you create. 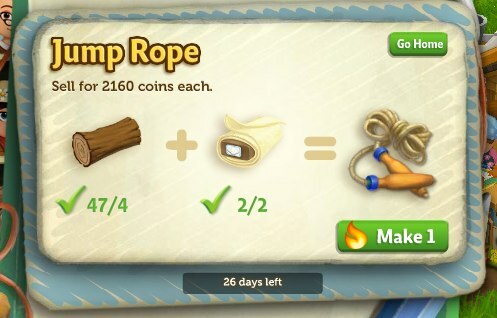 You can sell a single Jump Rope for 2,160 coins. The final recipe is for a jar of Blue Marbles. This recipe requires five Pieces of Glass and three Blueberry Dye to create. The Blueberry Dye is made using eight Blueberries and two Flasks, while the Pieces of Glass are earned by asking your friends to send them to you. 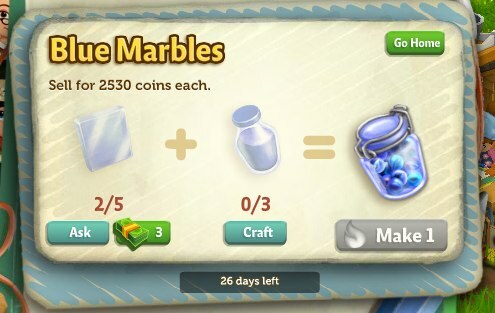 This recipe gives you 19 XP for each one created, and you can sell each jar of Blue Marbles for 2,530 coins in the store. These recipes will be available for the next 26 days, so make sure to craft as many as you can if you're interested in using them to stock up on some easy coins. 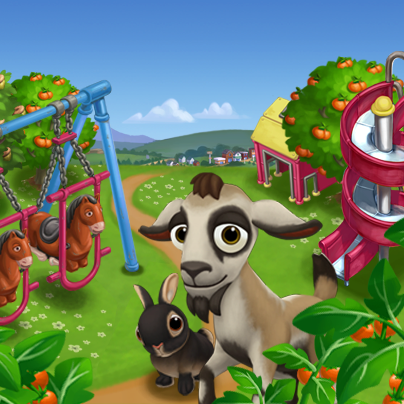 What do you think of these new "Be a Kid Again" recipes in the FarmVille 2 Crafting Workshop? Sound off in the comments!